Are covered living areas like outdoor gazebos really that popular? Yes, outdoor gazebos and other covered living areas including cabanas are among our most popular items. 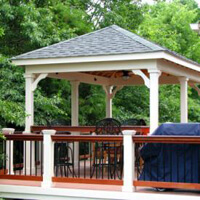 Screened gazebos and covered patio designs for backyard decks offer shade and protection from bugs and the elements. In addition to covered patio gazebo construction, we offer residents of Fairfax, Burke, Chantilly, Springfield, Clifton and Centreville fire pits, landscape lighting and more. 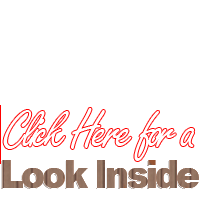 Learn more about what the deck construction experts at Distinctive Deck Designs can do for you. Keep the elements out with our covered patio and outdoor gazebo construction options. Many customers request a covered structure for protection from the sun. We offer a variety of custom options to address these needs. Also ask about other great backyard options including landscape lighting and fire pits. We do patios and gazebos better than anyone else in Northern Virginia, and invite you to learn more about our track record and our services. A covered area on your patio protects against the elements and makes for a comfortable entertaining area. Consult with our experts about getting your custom project underway, and add a covered area perfect for entertaining to your outdoor living space. Distinctive Deck Designs can show you the benefits of covered outdoor spaces firsthand. Make entertaining family and friends more enjoyable via a covered living area of your own.